Designed to create the most effective paternoster rigs possable these rotary uptrace beads allow the bait unhindered 360' movement which virtually eliminates tangles! 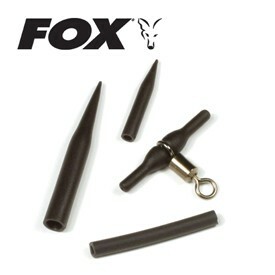 Supplied with rubber sleeves for both ends of the bead and a large bore sleeve to cover the trace link. Each packet comes with the componants to make 5 complete links.